Phew. Is it that time already? are now merely just a dream. Heck, they were always a dream to me. and we really didn't do a whole lot. Kids back in school now? life right now in 6 words? All the fuss, you know what I am talking about right? I am probably the last one to jump on the VMA Miley Cyrus twerking scandal. Dun.Dun.Dun. Scandal? Says who? VMA performers have always been WAY over the top. Miley is nothing new. This is how they get ratings. Most people tune in just to see who is going to push the envelope, make the censors go nuts, right? It is hardly about music any longer (just like MTV in general). I haven't actually watched the VMAs in ages, this year was no different but I could not escape the scandal no matter how hard I tried. It is all over the news! Every media outlet is talking about it. But the first rule of publicity is: negative publicity is better than no publicity and well, Miley Cyrus was not making much in the line of news of late if I recall (unless you call her on again/off again engagement newsworthy), but she is NOW. We see and hear you loud and clear, much more than many of us probably want. I get that she is no longer Hannah Montana. I get it is hard to break out of that role but you were Hannah Montana for many years and it will take many years probably to break out of that role. Another thing to keep in mind while you WERE Hannah Montana, you had a huge following of young girls, who have grown up with you and now also as young adults probably still look to you as a role model which is too bad. Because you are definitely not a role model at this point that I would want my daughter to look up to. Stop degrading yourself. You have talent (more so than you obviously think). You can sing. You can act. You can dance. And I am not talking the bumping and grinding twerking. That is not dancing; that is more for the bedroom not for the dance floor or stage for everyone to witness. There is no need to parade around half naked gyrating your itty bitty booty to make your point. And that poor foam finger; hopefully it is in a trash can somewhere never to see where the sun doesn't shine EVER. AGAIN. And let's not forget Robin Thicke. I actually liked him before he went mainstream and well now in light of this, not so much. Although, I bet he didn't really know what he was getting himself into and I am sure Miley failed to rehearse the vulgar parts with him during the earlier rehearsals. I mean honestly isn't Robin Thicke almost old enough to be her father? (I think he is 36 so yes technically if he had a child when he was 16 then he is old enough to be her father) And I wonder what his beautiful wife Paula Patton thought of all this? I know it is all part of the "act" and what they signed up for so it doesn't sound like she thought a whole lot about it from what I have read so far. Now his mother on the other hand. Her interview was funny. Maybe when they have a daughter it will hit home a bit more about what all the fuss is about. In closing, Miley use your talent for good not for shock value. Don't you see that many of the young artists that have gone down this path are not very successful long term? I know you are still immature and have a lot of growing up to do but really put some clothes on and your tongue back in your mouth. You look much better that way. It has been a while. I've missed you! Trying to get back into a routine with the kiddos, getting ready for school to start. I have *most* of the school clothes shopping done. Most of the school supplies. Registration done for both the boys. This week we are focusing on getting them back on schedule with bed time routine, morning routine, etc...But it is only day 2 technically. It is a work in progress that is for sure. So I bet then you are wondering what the heck Day 4 is referencing? Day 4 of my staycation! Yup, I am on a staycation. I know that term gets old but it is what it is. I had planned to take this week off for ages, as did my husband. We originally had planned on doing something, vacation wise, but in the end we are just using it to get organized, back into routine and try and relax. Which is kinda funny. Relaxing is not very conducive with a couple small children under toe. But o'well. Trying to make the best of things. Today the hubby took the littlest boy (Hayden 6) to a new Disc Golf park about an hour away along with a few of the husbands friends. They are making it a day. Which means the littlest one and I have most of the day to ourselves. My plan is, to not have a plan and just go with the flow today. Heck, I might even take a nap today. Hopefully little miss is amenable to this. That would be so nice. A nap on Tuesday. I can't tell you the last time I took a nap on a Tuesday. 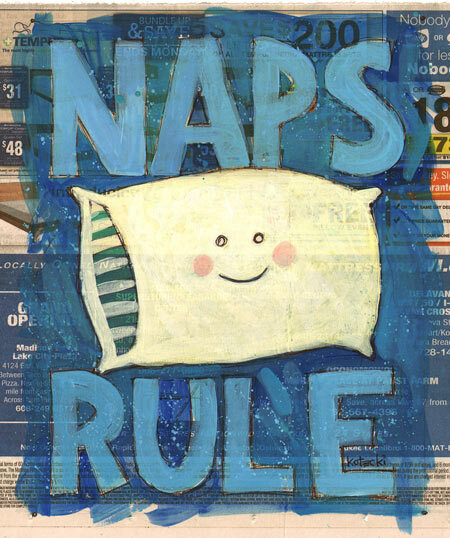 It's all good as long as I get a nap! Are you ready for the school year to begin? Done your shopping? As David Bowie so eagerly sang back in the day. It seemed the taste was not so sweet...."
Changes. Seem like every time I turn around. One thing or another. Just when we think we got the sails just right, they change the direction of the wind. I guess that is what working in a corporate world is all about. New people, new policies, new processes. I'm not used to it having worked for a small company for so many years. Now don't get me wrong, I am very grateful that I am no longer in that position however when you are in the corporate world, you are just a cog in the wheel more often than not so not having a voice has been a bit stifling. We had an announcement at work this past Monday. Our company is reorganizing and creating 3 Center of Excellence locations for the job functions that I do. Thank goodness I am already in one of those centers. Dodged a bullet. However some of the other offices where there are similar job functions not so lucky AND even within our offices, there were several people that were realigned and/or layed off. I have been praying for those impacted. I don't know all that are impacted, only heard about a few here and there....not like they make a major announcement of who is realigned or layed off, you just learn when faces change, emails no longer work, etc. And then if that wasn't enough....the next day, no coincidence to this corporate announcement, but my manager, notified our team that she gave her notice last week and her last day is next Friday. WOW! So didn't see that coming. She has worked here for awhile and it sounds like where she is going is a growth opportunity in every aspect so I am happy for her...however that leaves our team in limbo. We have a really great lead and our director, however he is out of state. I am hoping that our current lead just moves over into the managerial position. She is great to work with, very helpful, knowledgeable, etc... I guess time will tell. This is about to get interesting. Ha! On a funny note since the above is so bone dry serious....today I was talking with a fellow colleague via internal messaging and intended to ask that he take a peek at an order but instead of saying take a peek I said, "Can you take a pee"....LOL. We all got a kick out of that...I literally was laughing so hard I was crying. Any major life changes coming your way? It is summer. It has been sweltering hot in our area many days these past couple weeks which make it very hard to cook on the stove or oven....Just heats up the house even more. And if I am to be honest our routine has been lacking thus I have not done a proper MPM in quite some time. But I am this week. I am tired of not staying on budget and eating not so good. It is not healthy for me or the kiddos (or the pocketbook). What is your go to meal when it is too hot outside to cook inside (besides BBQ ideas)? I am linking my post up with I'm An Organizing Junkie.